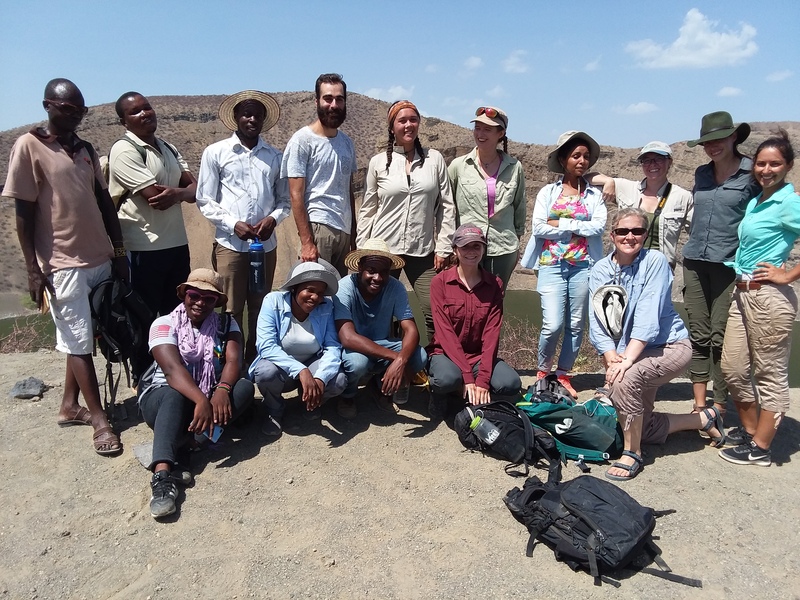 Nearing the end of their Archaeology course, TBI students returned to the Aiyangiyang depression where, led by Veronica Waweru and Helene Roche, they conducted an excavation. 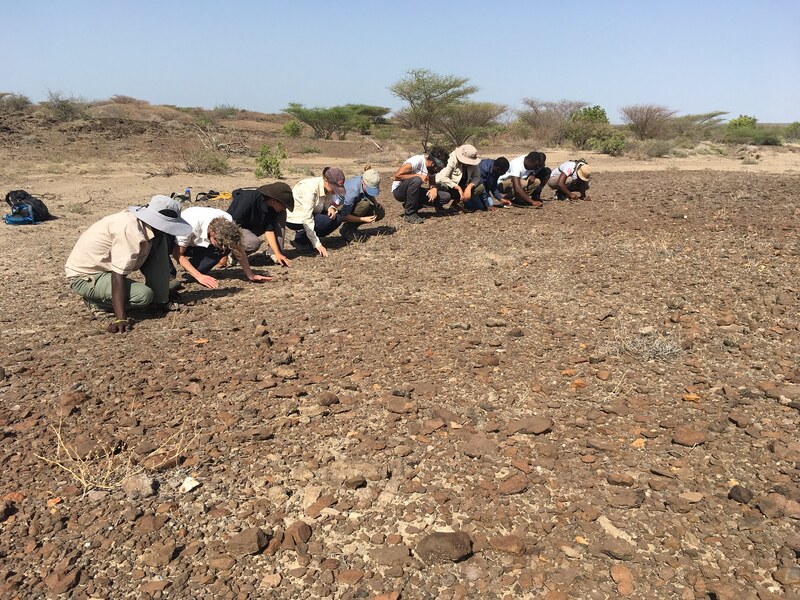 Their efforts helped document some of the stone tools made by Holocene inhabitants of Turkana, and introduced them to techniques that many will use in their careers for years to come. Following their excavations, students traveled north to Napaget V to explore a mixed assemblage of old and more recent remains. Students found pottery shards, cooked bones and stone tools scattered over a wide dune, with the lake shimmering far below it. 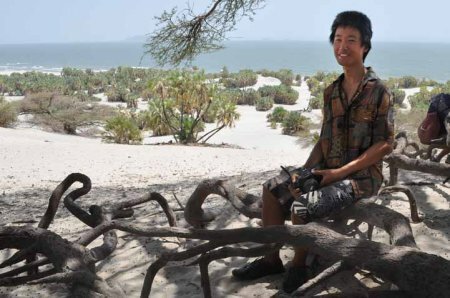 Students rest under a wide Acacia at Napaget V, on sand dunes overlooking Lake Turkana. 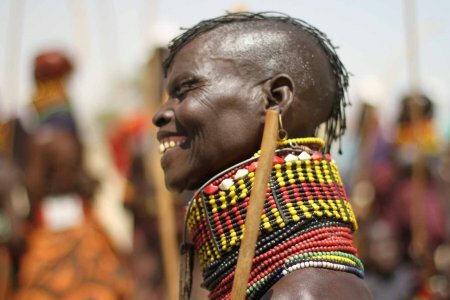 A Turkana woman smiles during a wedding ceremony's festivities. 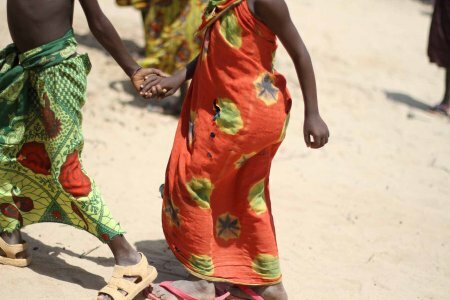 When two of the Turkana locals near TBI were to be married, the families invited TBI students to join them in one of their afternoons of dance and song. Bright colors and festive dances at the wedding. Festivities were held over the course of an entire week, beginning after the new moon began to wax again. 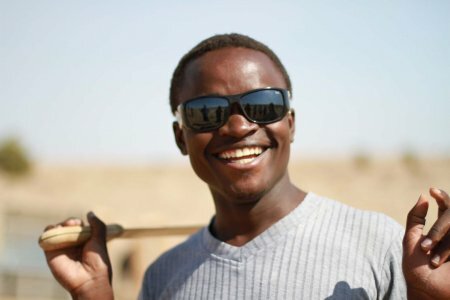 TBI students arrived after the groom’s family had payed what is called brideprice, almost ubiquitous in Turkana and typically given in the form of cattle, sheep and goats. Because the bride leaves her own family to join that of the groom, his family is expected to give to hers as they see her off. Students danced for hours with the local men and women as they sang songs and enjoyed the occasion. 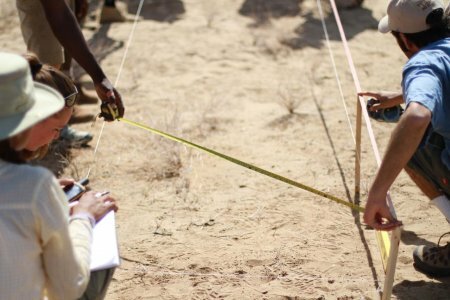 Wyatt, Sonia and Ebba take measurements at Aiyangiyang. 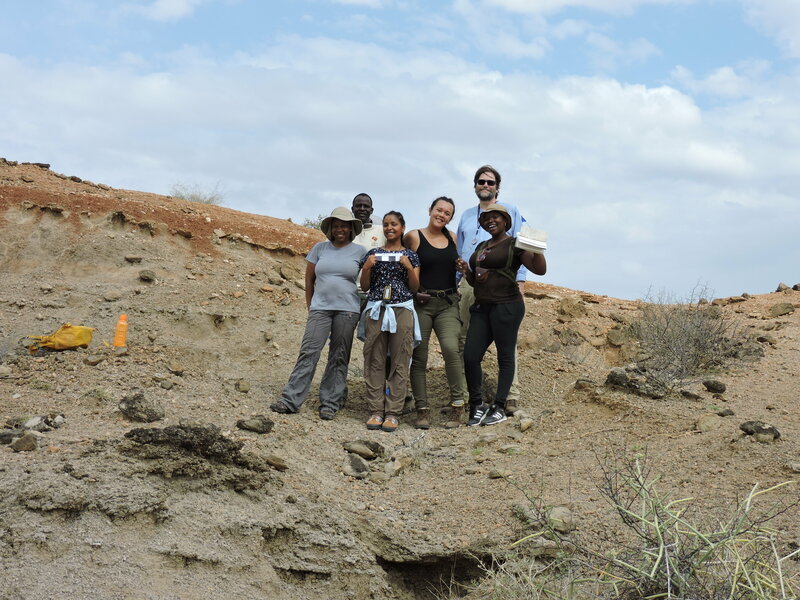 Field School directory Veronica Waweru and Helene Roche led students to excavate at the Aiyangiyang depression following the wedding, hoping that their efforts might further understanding of this important holocene site. Aiyangiyang’s origin is a mystery, perhaps having formed through a sudden geological depression,or through shifting dune patterns. 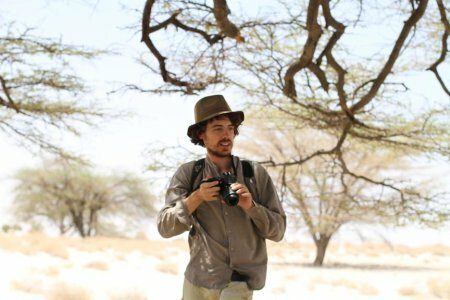 When water began filling its large basin in the last 10,000 years, animals came to drink and behind them came human inhabitants of the Turkana Bsin. Flakes and small blades lay scattered all across the dry lake and at its margins. Anacoli holds a Panga used during excavations. It is Anacoli’s birthday today! Kelly, Alec and Debbie record the structure of their excavation before they begin removing archaeological material. 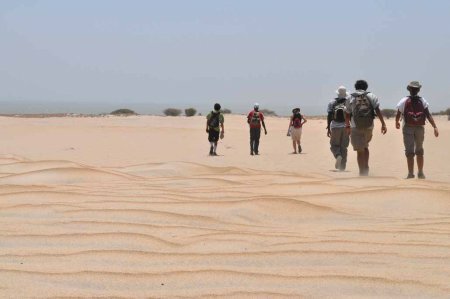 Students hike across dunes at Napaget V.
As their archaeology course drew to a close, students headed to Napaget V, an archaeological site of mixed origins situated on a high dune in the north, above Lake Turkana. 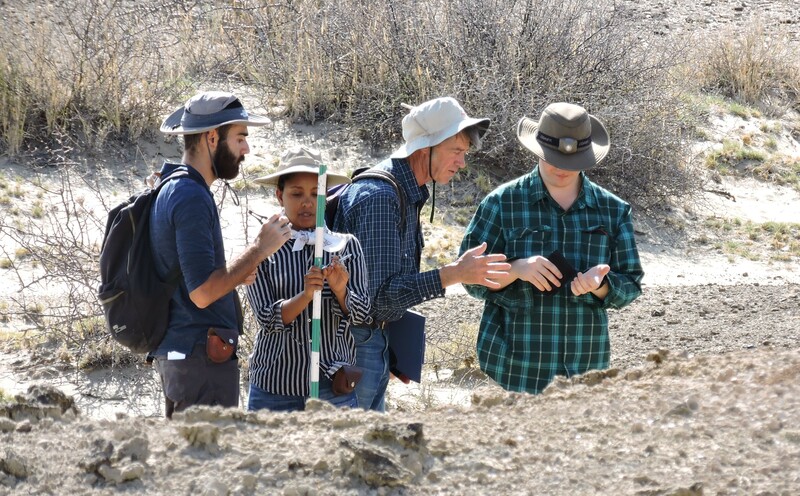 While the site was mapped only 3 years ago, students found that in that short time much of the archaeological material had been covered over by sand. The dunes on the western shore of the lake, many massive like this, are nevertheless highly mobile. Shifting sands may wholly bury Napaget in a few decades. 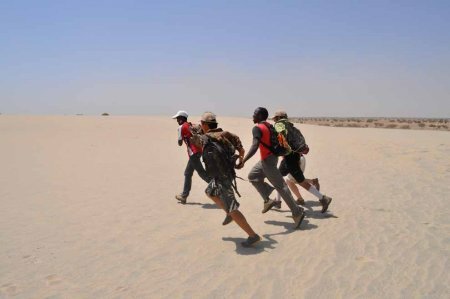 Luke, Quan, Johnpius Wyatt and Kasia race across the sand. Smaller dunes arch like fire in the desert. 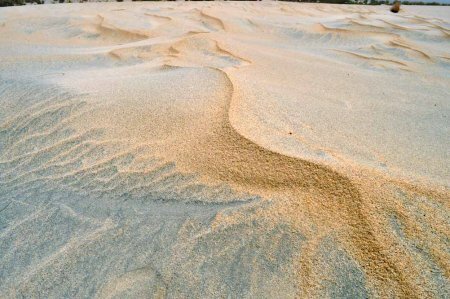 Beneath or beside these dunes could be seen many stone blades made of chalcedony, chert, quartz or basalt, cooked fish and goat bones, and scattered shards of pottery. 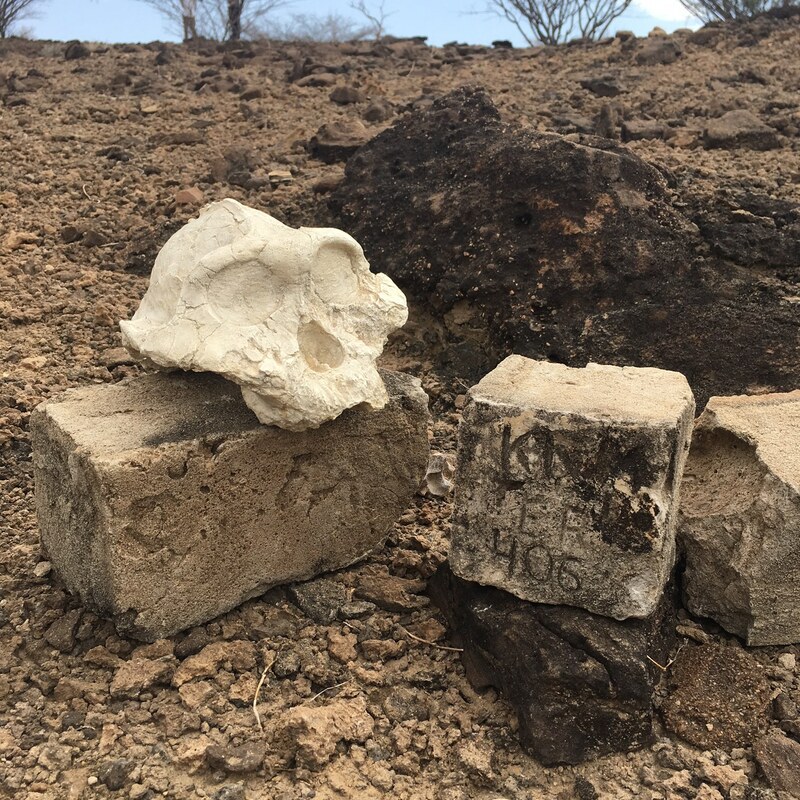 These relics were left by people who lived here through many different times, some arriving over three thousand years ago, while others inhabited the lake shore within the last few hundred years. “Rhizoliths,” or fossilized root casts found throughout Napaget, suggest that the dune was once heavily vegetated, in stark contrast to its present state. 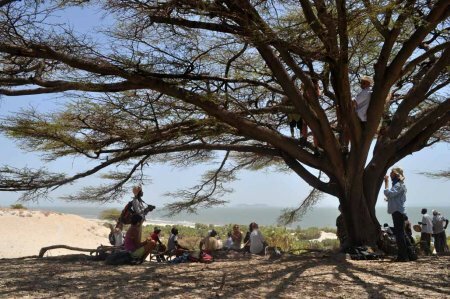 Students eat their lunches below or within a great Acacia tree. Me, one of our photographers. Quan, another of our photographers.